A science fiction platformer, in which we play the role of a space castaway. While playing, we run, jump, and control the planet by manipulating the time of the day. The game boasts high-quality graphics. Planet Alpha is a 2.5D platformer maintained in the climates of science fiction. The title was produced by Planet Alpha Game Studio. The team was led by Adrian Lazar – a former employee of Io-Interactive studio, who co-created, among others, Hitman: Absolution and Kane & Lynch 2: Dog Days. The game was released by Team17. Developers have prepared a simple story about the fate of a cosmic castaway, who finds himself on an unexplored planet for unexplained reasons. During the game we try to survive and get to know the secrets of this fascinating place. 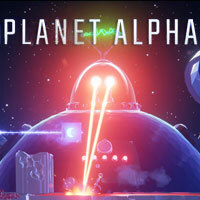 In terms of gameplay, Planet Alpha combines the features of a classic platformer – in which we run, jump and try to avoid threats – with logical elements. Our wards quickly acquire a special skill, allowing them to rotate and control the planet, so that they can manipulate the time of day and night. This is useful for solving various puzzles. A big advantage of Planet Alpha is its graphic design. Developers have taken care of the beautiful style of the world, where something is still happening, e.g. huge creatures fly in the background. Besides, it is worth praising the nice animations and large variety of locations.